Rated 5 out of 5 by bemgif from Another great game from Mad Head Games This is one of the best games on Big Fish. I bought and played the first Nevertales game and loved it, so I thought I would try this one. I loved the storyline from both games, but this one is the better. I highly recommend this game. Rated 5 out of 5 by Mrs_Kim from Stunning! Second games in the Nevertales series by Mad Head Games --------------------------------------------------------------------------- There are 4 levels of difficulties and three stories: main, bonus and hidden chapters. If you forgot or haven't played their first game, there's a review of it on the main menu. The story continues on with more adventures and more bad guys. The graphic, as usual, is stunning. Mini games are not difficult but it was original, mostly it is about filling in the story. Bonus contents are also abundant, there are many new things to do once you finished the game. This game is going to last for a long time, there are many things to do. Definitely one of the best games of the year. Rated 5 out of 5 by cajocine from Wonderful What a pleasant game to play. Thank's for the good work Mad Head Games. Rated 5 out of 5 by yifati from Wonderful Game!! It's been a while since I enjoyed a game so much that it was clear to me that I must leave a review on it. The game wasn't too easy nor too hard, the graphics were amazing as in the game before, and the bonus content - bonus chapter + hidden chapters - made me soooo happy, as the game had more and more stories to share. I'm really looking forward to the 3rd game of Nevertales- judging by the first two, the 3rd will be Awesome!!! Thank you for a great game!! (The CE was worth every penny). Rated 5 out of 5 by Penhip from LOVE NEVERTALES SERIES!! I was so excited when the next installment of Nevertales came out that I purchased the game immediately sans demo... and I must say that it did not disappoint. The graphics are visually arresting, and the games and HOS are incredibly fun and creative with a style unique to the Nevertales world. The plot picks up with Belle and Pierre and their now teenage daughter Alice, who inherits extremely powerful magic from her parents. When Alice is "kidnapped" by the evil wizard Malleck (or so we think), the race is on to find her through book portals to find her with the assistance of familiar characters from the first installment. Filled with morphing objects, puzzle pieces to find in each scene, collectables, and an array of surprises along the way, Nevertales is well on it's way to becoming it's own classic. If you have not had an opportunity to play this game, start from the beginning and prepare to be transported into a unique world of gaming. Congratulations Mad Head for another brilliant installment... keep them coming! Rated 5 out of 5 by jessysummerstone from Traveling through worlds This game returns to our famous travelers, who are able to visit magnificent places. Graphics are beautiful, although they were sometimes oversaturated (that "red" chapter was intense), but sharp and clear. I would like from the developer to make some harder parts of the game in the sequel, and to stay creative and innovative as they were before. Overall - interesting game. Rated 5 out of 5 by mephistopholes from Added value HOG From Mad Head games, this great game is an example to other developers. Graphics and story both good, interesting HO scenes and mini games. Collectibles (treasure and morphing objects) to find. The map is interactive. Not just a bonus game, but also hidden chapters unlocked by finding all the treasure pieces, and even better it is possible to find these after playing the game by going into the extras. I really enjoyed playing this game and was sorry when it came to an end. Rated 5 out of 5 by tobysue09 from Great game, Mad Head!! This is another great game from Mad Head! This game, along with their others, have great storylines, beautiful artwork, great HOGs and puzzles and lots of extras after the game is over! They are long, but you don't want them to end, definitely worth the money!! Keep them coming Mad Head!! Rated 5 out of 5 by lmilonas from Will purchase this game! First time seeing this type of hidden object game. It has different challenges than any other. I play trial games and have not purchased any but will purchase this one. Thanks to the developers! Rated 5 out of 5 by Sisjl from FINALLY! I rated this game a 5 star because FINALLY someone noticed that all of these types of games where getting to be one just like the other and did something different. I was giving up on collector editions because they being double the cost (not on a sale) as the standard game all you really got was a short time of extra game play (unless you like the sound tracks and wall papers). Well this game is far from it. The story always kept me interested with little twists a turns. The game play fun and a little challenging at times. At the end of the game you had your extra game play but several other activities to do as well. HATS OFF - I LOVED IT. Can't wait for another Nevertale. Rated 5 out of 5 by Doriane333 from So, so nice game! Very good sequel of the first game. Very generous CE. HOS and mini-games so ludic. This is a must if you liked the first game. Rated 5 out of 5 by Mibbles from Reflections are not always what they seem to be! This was quite a fun game! I'm not a die hard gamer and like to play the games in Casual mode. I like good story-lines and things not too difficult to figure out what to do next. There were plenty of twists and turns, and a good variety of puzzles and games. The Bonus Game was great, and then there were all the Extra Games/Puzzles! I rarely play them, but I did these and am so glad I did; they were really fun! I like the fact if you miss a hidden token/treasure in the game (I had missed 3) you are able to go back to find it in the Extras and complete the extra puzzle. I have had it in the past that I missed only ONE in a game and thus didn't get the extra that came with finding them all. I would definitely recommend this game for others to play, and I'm looking forward to new ones from Mad Head Games. Rated 5 out of 5 by SkylerWA from ..single truth....thousand Lies...beautiful idea! Yeah, well, two HO games a week, it's honestly getting extremely hard to be inovative. But not when it comes to Mad Heads. Each time I see their game is out, I feel challanged already. This one is a jewel, most of all when it comes to art. The colors are wonderfully mixed from bright to very dark, and it follows the story so perfectly. I adore their screenplays. You can tell they have been written by talented people, who would probably be as eaquly good at writting for the movies. The plot line is one of the best in theese games so far. Rated 5 out of 5 by LunaNik from Shattered Image, but totally together game! 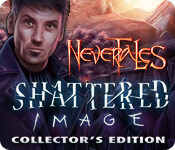 Nevertales: Shattered Image CE Review based on completed game, bonus chapter, hidden chapters, and extras PREFACE… Based on my experience—and I own almost 500 casual games—it's rare for a truly worth CE to come along. Nevertales: Shattered Image is such a game. The bonus chapter, hidden chapters, and other playable extras will take up almost as much time as the main game. 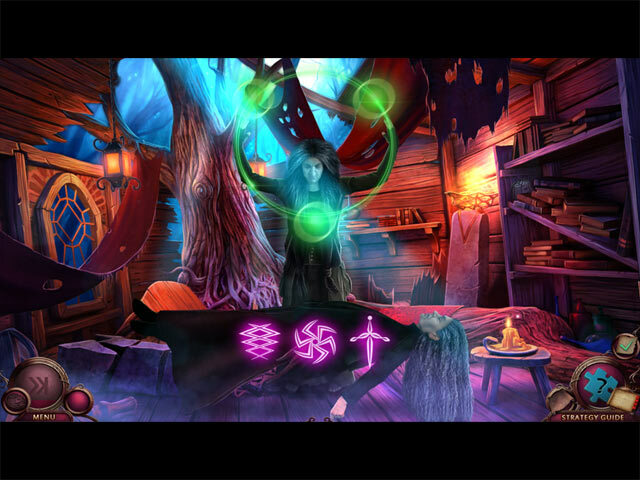 And the main game is a worthy successor to Nevertales: The Beauty Within. ONCE UPON A TIME... Our introduction to worlds within books began in The Beauty Within. As a detective, a stranger left a baby on our doorstep, then alternately helped and hindered us in discovering her origins. The baby is back, but now twelve years old, and a more powerful Traveler than her parents, Belle and Pierre. Her name is Alice, and she's in trouble again. This time, we take on the role of Belle, determined to save our daughter and stop the evil Mallek from destroying all the worlds within books, collectively known as Taleworld. Alice, it turns out, is able to open portals through mirrors…and that's where the trouble began. PLAY THE GAME... Shattered Image is chock full of puzzles, mini-games, and HO scenes large and small. The HO scenes include interactive word lists, silhouettes, progressive scenes where each item helps you find the next, matching pairs, fragmented object, and multiples of a type. Puzzles include pattern recognition, matching, jigsaw, and more. Mini-games include assembly of items, repair of mechanisms, tower defense… There's something for everyone. SIGHTSEEING… The graphics are whimsically hand-painted and represent a number of different environments ranging from fairy tale forest to underwater Atlantis, from desert kingdom to Captain Nemo's Nautilus, from evil witch's cottage to magnificent palace. Each scene includes animation, whether it's flora or fauna. And the in-game animation is realistic; when you have two items to place, you actually place the two items. I like that. SOUND WAVES… There are ten musical tracks and they are quite varied and evocative of each scene. Some are ambient and relaxing; others brisk and bringing to mind the urgency of the situation. All aid in immersion. Voiceovers are professional, with the actors speaking with emotion and inflection. TOOLBOX… The map is interactive, showing areas where there are actions available, and also transports. For part of the game, you have Gears the Owl at your disposal to help you acquire things out of your reach. Alice's dollhouse allows you to communicate with her as you discover its rooms here and there. And there are a few other special tools you find along the way. EXTRA, EXTRA… The bonus adventure finds you reliving the story of how Pierre met Belle, and the hidden chapters have you playing Belle once again as she helps some of the characters with additional problems. There are collectible circlets that resemble stained glass which provide you with puzzle pieces to complete a jigsaw which, in turn, unlocks another bonus area: the Treasure Room. The Treasure Room has you revisiting each scene in the game to find an additional object. Complete that, and you unlock replayable HO scenes. Whew! And I'm not done yet! You can also replay the tower defense game to defeat the Kraken. Lastly, each HO scene contains a morphing object. Naturally, you have the SG, performance achievements, and the developer's portfolio which includes downloable music tracks and wallpapers, plus concept art. THE LAST WORD… I highly recommend Shattered Image, especially if you liked The Beauty Within (which I also gave 5 stars). Other notable games by this dev include Cadenza: Music, Betrayal, and Death and the Rite of Passage series. Happy gaming! Rated 5 out of 5 by GlacierMyst from Magical - Great Fun I really enjoyed the interactive HOs and puzzles I encountered in the demo. Granted, this may not be one of the more challenging games I've played, but it is by far one of the best for pure entertainment. I'm not going to rehash the story line, game in and outs, etc. (that's already been done, quite well, by others). I'll just say play the demo and see for yourself. This may not be for everyone but it's a definite buy for me. Rated 5 out of 5 by Weedance from Stunning The graphics are gorgeous once again in this Nevertales. The gameplay is fun, although it makes more sense if you begin with the first in the series, Nevertales The Beauty Within. The challenges are fairly routine, but the gameplay is made more fun simply by the glorious interaction. if you like this game, head back in time and play THE PAINTED TOWER triptych. Same production value and same narrator. Rated 5 out of 5 by tailswhiskers from A great game from Mad Head This is a different kind of game. It is magical. You use magic a lot in this game. You are looking for Alice. You get to use a magic carpet, put together a gnome etc. I would recommend this game. Rated 5 out of 5 by haiqal01 from Easy & Fun Sequel to Play ! This game is created by Mad Head Games - Cadenza , Rite of Passage series and of course Nevertales series. Storyline : Spoiler Alert ! The game still continue from the last game which is your baby Alice has grown up and have special abilities to open a portal to another world. Suddenly , in her 12th birthday , you and your husband , Pier found Alice is in coma with mirror shards in her room. At the same night , Alice bedroom's door slammed and earth quakes happened in Taleworld. Help your daughter from an Evil clutches !!. Gameplay : There are 4 modes to enjoy - casual , experts , advance , and Customs. Let's talk about HOS , There are varieties and entertaining ! The HOS like silhouettes , find base on list , find base on diagram and then reassemble the item and more ! The puzzles are fun and creative but too easy which make the game feels short! The game includes Collectibles indicator , Alice's Dollhouse , Inventory locks , Interactive maps , hint , guide [ 7 chapters + collectibles + bonus + Hidden Chapters] , journal , and objective marker. There are new characters and old characters with full voice overs. The game is based on story books so they are lots of character and story based on the story like Captain Nemo - just with a twist. The game fill with story that will make you wanting for more. Option Menu : You can adjust music , environment , effects , and voice over volume. You can change to full screen , aspect ratio , and hardware cursor. Extra Content : The game includes Strategy Guide , Collectibles Puzzle jigsaw + bonus puzzles , Bonus Gameplay , Hidden Chapters , bonus Tower Defenses [yeay!] , Replayable HOS , wallpapers , concept arts , soundtracks , Treasures bonus , and achievements ! Overall : The game is short because i'm in chapter 5 play for 1 hour and 18 minutes in casual modes without hints, skips and refer to SG. All I can say is that the game developer should add up more challenge to puzzles and adventure to make player thinking more and more. They did great job in entertain us , so thank you for this game and other series too! Let's Pray for Gaza and MH17. P/S : try the game first and then you decide your choice ! Rated 5 out of 5 by skullfun from Shattered Image - The truth behind the mirror..... Mad Head games has created another masterpiece! You play Belle in a journey to find your daughter Alice. Alice communicates with you through her magic dollhouse as you progress along the adventure. The special effects are amazing as you piece together catalysts to solve the story. Along the way you discover Maria and Gears (from the first Nevertales) who assist you. Gorgeous graphics, music, voices, and unique puzzle/objects. Revealing too much of the game in a review spoils the fun for everyone. I give a 5.5 rating and kudos's to Bigfish! This series is destined to become a fan favorite. Rated 5 out of 5 by BeccaKay from Mad Head Delivers Again!! 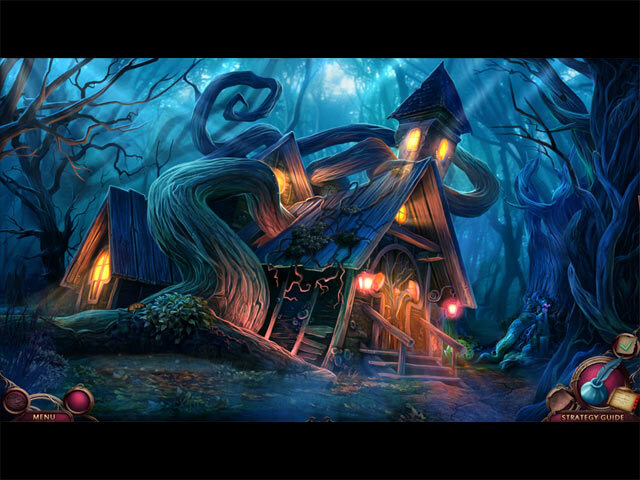 After playing the first installment of Nevertales, I was blown away by the attention to detail and innovative approach to the tried and true hidden object/puzzle game that Mad Head uses. So much so, that I immediately sought out other games by them and was not disappointed. They've spoiled me for the average HO/Puzzle games! Definitely a must play! Rated 5 out of 5 by Torpedo1 from More Pow this Time Great game. A helper who actually helped for a little bit. Fun fast paced game. Beautiful scenes. Good cut Scenes. Interactive HO's. Nothing to dislike like. It is a easy game and more helpful then previous Nevertales. This goes on my to buy list. Rated 5 out of 5 by Paintedspoon from Great Fun I'm not going over what others have told about the game, but what fun to see Maria again! A LOT of INTERACTION!! Well worth the price for this one. Rated 5 out of 5 by BFGMCFFAN from Nevertales 2 - Wonderful, innovative, but not challenging enough Mad Head Games is well known for it’s wonderful and innovative games. Nevertales: The Beauty within was a worthy sucessor. This sequel is as good as the first installment, but it lacks a bit of challenge. Let’s start with the storyline. It takes place around 12 years after the first game. Your daughter Alice hast he power to open portals using mirrors. Now she went missing and you have to find her. To do so you need four catalysts. Also you learn more about the Taleworld. There were once two powerful travelers called Mallek and Benefor. Mallek used his powers to control the other travelers minds and was imprisoned in the volcano. Now he has escaped. Together with your friends Maria, Gears and your husband pierre you embark on a journey through Taleworld, from the deep oceans over the oriental desert and the Cinderella kingdom until you can finally confront the evil. But can you save your daughter in time? I really love that story and I love to see all those different places. Here we are at the next point, the graphics. They’re Mad Head Games best graphics yet. The wonderful blue ocean world, beautiful oriental graphics full of bright colors and the dark kingdom of Cinderella. Bright, dark and colorful all mixed up. A nice variety and very well done. Those graphics are absolutly awesome. Also the music and the sounds. I just love it. It’s mystic and atmospheric. I really loved it. Also I love the Hidden Object Scenes sound, when they’re opening up. Now for the challenge. The only weak point in this game, because there are too less items in the inventory and there are too less things to remember. But with the custom playing mode you’ve got the chance to make it more difficult. But all of this doesn’t really matter, because oft he HO’s and the mini-games made this game unique and fantastic again. They’re not too challenging, but they are new and innovative. 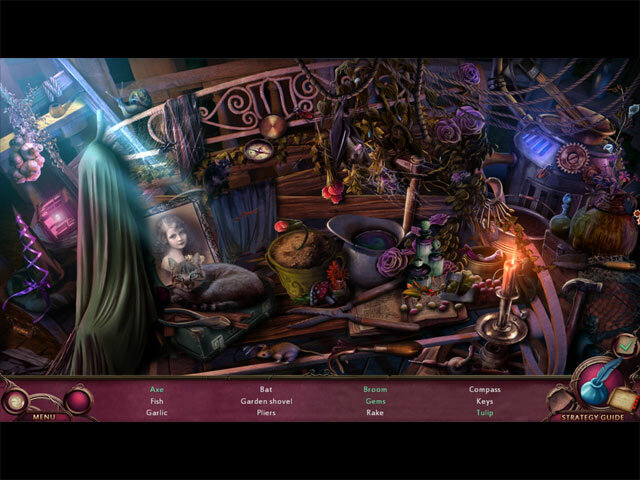 Different new types of Hidden Object Scenes, exiting mini games, my favourite ist the harpoon mini game. The CE comes with much bonus content, inclouding 4 bonus games, one big bonus chapter and three little extra gameplay chapters. Also there’s a treasure hunt, a bonus puzzle, all HO’s can be replayed, you can download soundtracks, wallpapers and concept art… Absolutly CE worthy! This goes to all developers: Look at Mad Head Games, how they improve the whole HOPA genre. Their sucess is that they experiment with new things and not only do the same old stuf fand put it with a different interface in their games. Again very, very well done Mad Head Games and I can’t wait how Nevertales continues. And good luck for Dark Realm: Queen oft he Flame! Another absolutly promising title. And this second installment of Nevertales is another very well done 4,5 star game. I can only recommend it. Rated 5 out of 5 by Lissi_48 from brilliant game i like every game from mad head but this one is my favourite: magical and every mini game so well-done. Now i play for four hours and can`t get enough. Rated 5 out of 5 by mrm2006 from Mirror, Mirror on the Wall, Door, in my Hand - WHAT! Young Alice has amazing powers. Unfortunately, on her 12th birthday they magnified, allowing her to make portals to other worlds/dimensions using any mirror as her "traveling point". One day, her parents (Pierre and Belle), find her in her bed in a coma-like state. Oh no! They can't rouse her! GASP! Beside her is a broken hand mirror! Pierre! She's in her floor-length mirror! HELP HER! Yeah, if it just that easy, right? NOT. There's a creepy, very Pirates of the Caribbean, type creature that goes into said mirror .... AFTER freaking you out. How can you save her? What is the significance of the doll house? What are those creepy pictures she drew telling you? Pierre becomes injured - it's up to Belle to rescue her poor daughter. Are YOU up to the task? Graphics/Sound: I was almost overjoyed that the graphics were not heavily colored in golds and oranges and other colors that hurt my eyes. Background music dipped and crescendo-ed as appropriate for situations. Great sound fx. Pierre didn't sound French though. HOGs/Mini Games: HOGs not difficult. Items relatively easy to find. Some interaction. Mini Games ranged from relatively easy to it takes some thought. There are 4 levels of difficulty - Casual Reader, Bookworm, Scholar and Choose Your Own (Custom). Once you find the map (transportable) and journal (contains notes, clues and tasks) you are on your way. CE Bling: Among the usual: Concept Art - 14, Wallpaper - 10, Music - 10 tracks, Stragegy Guide and Achievements there are Tower Defense (finish this puzzle in the game), Travelers (finish the Bonus Game before being unlocked), Collectibles, Bonus Game AND Hidden Chapters (how cool is that?). This is an amazing game involving not just Belle, Pierre and little Alice, but characters from the previous game. You'll need everyone's help solving this dreadful tale. It's definitely a buy for me. I encourage everyone to try this game - you get an amazing 90 minutes of game time and it's FREE! Happy Gaming! Rated 5 out of 5 by MSBAM100 from Alice is all grown up -- and missing! This is the sequel to the previous Nevertales game, and it doesn't disappoint! You can watch a movie of the previous game before you start, if you want. Anyway, the baby you rescued then is now yours and Pierre's daughter Alice, 12 years old, who has her own Travelling powers involving mirrors, not just the books you use. Alice disappears through a mirror, your world starts quaking and falling apart, a shroud monster appears in the mirror and the mirror breaks. To rescue Alice, you must visit Maria and her island from the previous Nevertales story, who tells you to find four Catalysts to save your daughter. This is a clever tale, intertwined with previous games and using the same BookWorld theme of opening portals with Books. There is so much to do! You have 24 achievements to earn, morphing items in HOPs, plus a book collectible in every scene. Plus, there is Alice's empty dollhouse -- when you find a room, you receive a message or a magic item from Alice. You get to repair magic mirrors by finding shards. You become Pierre for a bit while he climbs out of a ditch. The HOPs are clever lists, that require interaction -- or each found object affects another. You get to complete a story book HOP. The mini-games are all solvable. The CE bling includes a Tower Defense and Travelers, to be opened after completing the Bonus Game. The four levels of difficulty should satisfy all. I am so happy there is a special this weekend -- I've got to see the next chapter!